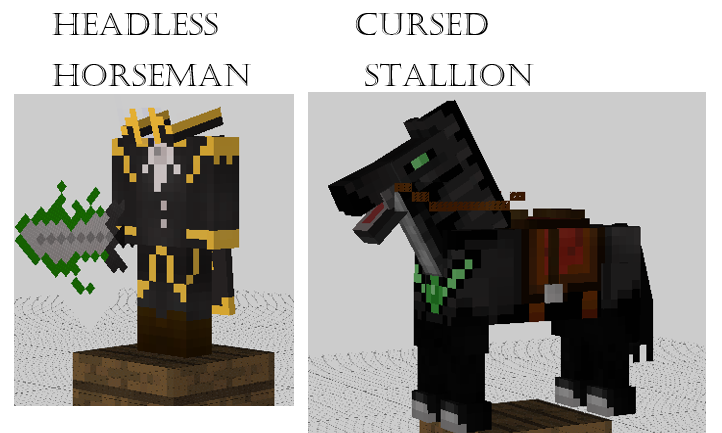 Welcome to the Mythical Mobs Mod, this mod aims to add mythical creatures from myths and legends, i also plan to add a few of my own! Here are the features that this mod plans to add to Minecraft, more will be added in the future! Why did you even click this? If you think that you can help this mod in any way, by modeling and texturing and/or coding, feel free to send me a private message, or on the thread below. Suggestions and Ideas are greatly appreciated! A coder would be a Great help. My Mod http://www.minecraftforum.net/forums/mapping-and-modding/minecraft-mods/wip-mods/2487041-mythical-mobs-mod-adding-mythical-and-enchanting#c2 help is needed! Amazing! Can you update to 1.8? I would love to use it on my server to play with friends! Oh and can you add brontosaurus. It never really existed but would be cool to add! Uh no. Someone put the head of a different dinosaur and put it on a body of another dinosaur at a museum and called it the bronto. They did it to finish a skeleton. 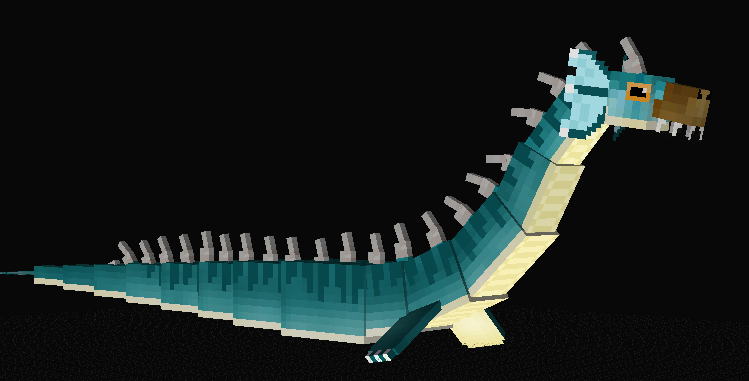 Suggestion for the Sea serpent. It has an attack pattern. 1.it will rush to the player and opening it's jaw to attack the player. 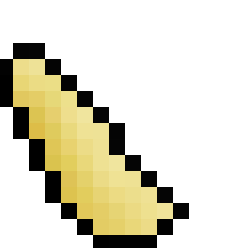 2.It will use it's tail to smack the player making the player have slowness and blindness. 3.It will spin making a vortex sucking the player inside and it will dive under and attack it. 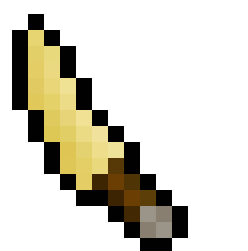 4.It will make it's scales hard making the damage of swords. Like wooden sword two hearts. Like stone sword three hearts. Like iron sword four hearts. Like diamond sword five hearts. 5.It will look at the player and hum a tune that will make the player unable to move falling to the bottom of the ocean. It can be tamed by using porkchops and steaks depending in the size. 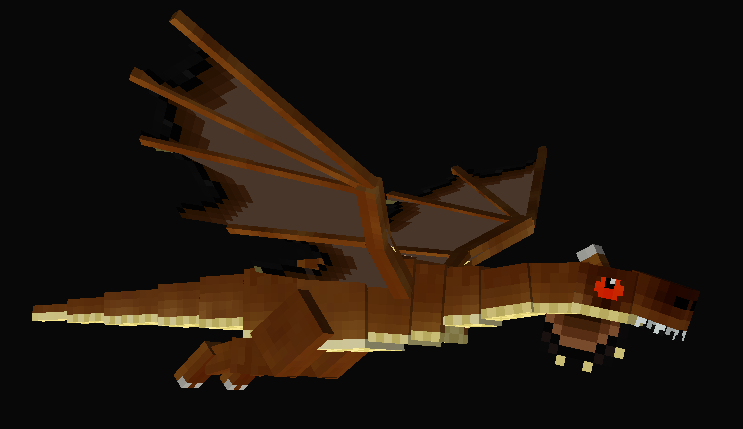 It's must be a hatchling to be tamed and when tamed and turn into a medium size it can be ridden. By simply right clicking it with a saddle and can be equip with armor. But it will slow it down you can control it by using the mouse and you can make it attack a player by left clicking it. Nice model! Can't wait to see what's to come in the future! Ogre is great! I'd only wish to change the red eyes to another color to avoid confusion with the body paint. Will we able to tame and ride the sea serpent? of course if you find a coder. 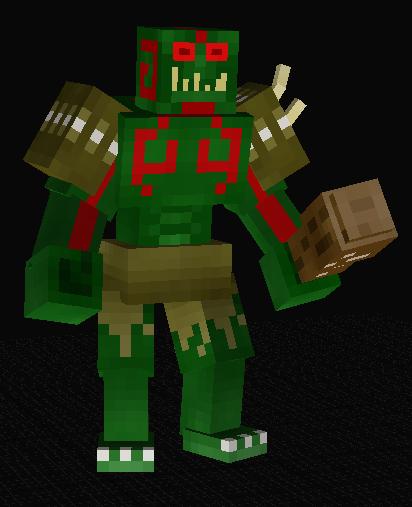 or making armor with its skin that gives you water breathing and deep strider movements. i better like the idea of when killing this "Mini Boss" or Boss we could have a chance of it dropping its egg and we could use it to summon a baby sea serpent helps us to attack using guardian like beams. the sea serpent could use guardian like beams to attack us. I imagine that the unicorn will be a rare variation of the horse.